Formed in 2008 our club is a friendly and enthusiastic club for cat owners and admirers. It is an 'All Breeds' club and membership is open to anyone with a love of cats. We hold one show each year, usually in April, and our meetings are held every two months. 1. To promote & encourage the responsible ownership of cats (both purebred and domestic) in our community. 2. To organise a cat show once a year and to foster the spirit of friendly competition & camaraderie among exhibitors. Formed in 2007 to meet the needs of people with an interest in any or all of the breeds within the British group. 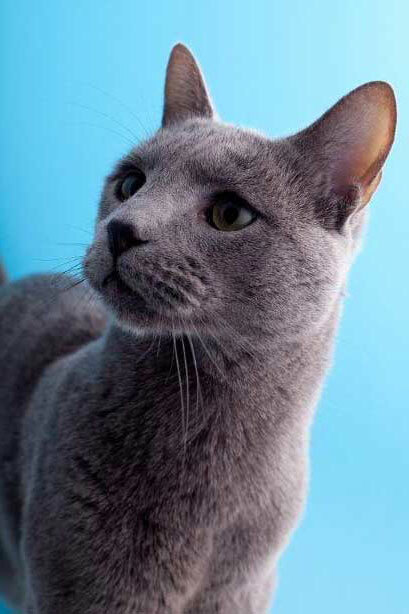 As a 'breed specialist' club, with the majority of owners/breeders of cats in this group in South Australia having already joined, this club plans to actively promote British Shorthairs, Scottish Folds (shorthair & longhair), Scottish Shorthairs, Manx and Cymrics, Selkirk Rex (shorthair & longhair) and their care. The Cat Fanciers was established in 1957 and is an All Breeds Club. The aims and objects have remained the same since the club's inception, i.e. 'THE SOCIETY' means - all owners of cats, pedigreed or otherwise, and all persons interested in cats. 'THE AIMS' are - to safeguard and encourage fair dealing and kind treatment of all cats, and to hold or support shows or exhibitions of all cats. Meetings are held bi-monthly on Mondays at Albion Hotel Kilburn. The Annual Championship Show is held on first Sunday in May at Payneham Youth Centre, Turner Rd, Felixstow. The Foreign Shorthair Cat Club of South Australia welcomes membership from anyone with a love of cats. Our special interests are those breeds that are included under the general heading of 'Foreign Shorthairs': Abyssinian, American Curl (Longhair and Shorthair), Australian Mist, Bengal, Bombay, Burmese, Burmilla (Longhair and Shorthair), Cornish Rex, Devon Rex, Egyptian Mau, Japanese Bobtail (Longhair and Shorthair), Korat, LaPerm (Longhair and Shorthair), Mandalay, Ocicat, Pixiebob (Longhair and Shorthair), Russian, Singapura, Snowshoe, Somali, Sphynx, Tonkinese and most recently Lykoi and Toyger. From other groups: Siamese, Oriental, American Shorthair, British Shorthair, Manx, Scottish breeds and Selkirk Rex. If you are curious about these breeds watch out for them at cat shows, where their owners will be only too happy to talk to you about them. ​Meetings are held on the 2nd Tuesday of each month (except January, September and December) at the Fullarton Park Community Centre, Fullarton Road, starting at 7.30pm. All members are encouraged to attend and visitors are welcome. Yearly Membership: $12 single, $16.00 family. Please visit our web site and see more about this very strong Cat lovers club. We are here to guide new members to a fantastic future and enjoyment and love of our feline friends. The Club publishes a newsletter with articles of interest for Club Members. The Rex and Burmese Cat Fanciers of SA is a club for lovers of Burmese, Devon Rex and Cornish Rex. The club aims to promote these breeds in a fun and friendly manner. We welcome breeders as well as pet owners and show exhibitors. Members get together on a regular basis for meetings and social events. The club holds a show every year. The S.A. Cat Breeders is an All breeds Cat Club which was founded in 1961. The Association consists of members, honorary members Life members, honorary Life members and associate members. Membership shall be subject to the rules of the Association. Full membership for owners of Pedigreed exhibits and associate membership for owners of Domestic and Part Pedigreed exhibits, with full show privileges but inability to move motions or vote at meetings. * To promote the welfare of cats and foster interest in the Cat Fancy. * To encourage the breeding of pedigreed cats. * To raise the standard of breeding and exhibiting of pedigreed cats. * To encourage competition among cat owners by promotion of shows and giving of prizes, certificates or trophies and by any other means which may from time to time be determined by the Assoc'n. * To provide facilities for discussion and interchange of views among owners. * To collect, verify and publish information relative to cat breeding and exhibiting. Tandanya Cat Club, formed in 1976, is an 'all breeds' cat club catering to call cat owners and people interested in cats. We cater for lovers of all breeds of pedigreed cats and unpedigreed or domestic cats. The objects of the Club are to promote cats and their improvement; to educate and encourage members, breeders and exhibitors to abide by the approved standards of the breeds; to promote and support competition in all practical ways, including the conduction of shows; to promote public interest in cats and their welfare; to promote good fellowship amongst those interested in cats. Tandanya produces a Newsletter for the benefit of members. Membership is open to any person who is interested in cats. General Meetings are held every 6-8 weeks in January, March, May, July, September and November at the Secretary's home. Ring 8449 5880 for date and venue of next meeting. All visitors are welcome.